Super fun, healthy, and easy to make apple crisp that tastes just like the real thing! Spray a large foil rectangle with nonstick spray. 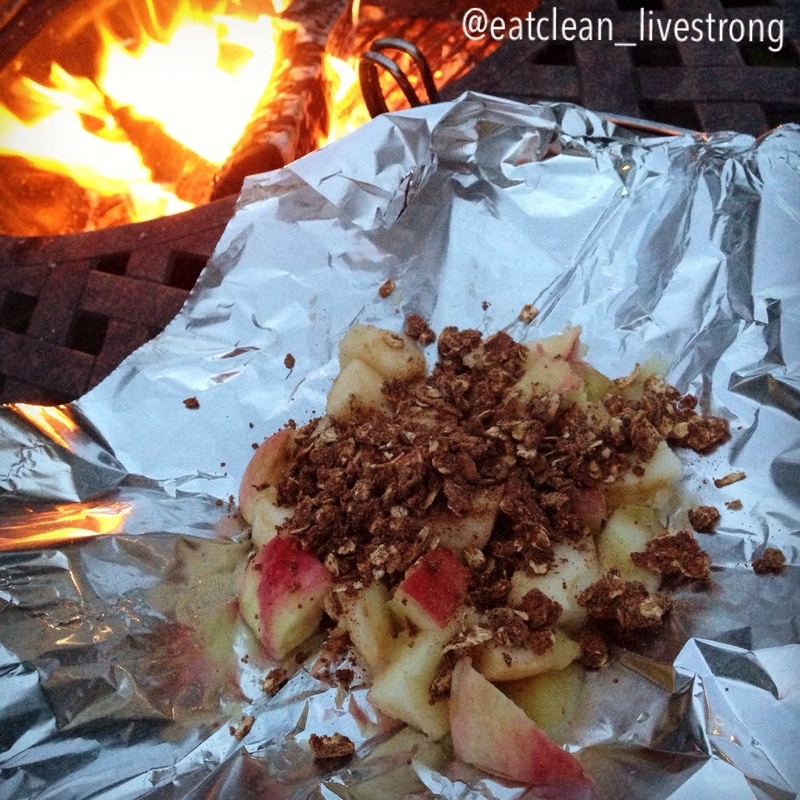 Place apples mixed with applesauce in the middle of the foil. In a small bowl combine the rest of the ingredients to form a "crumbly" mixture. Make sure you break apart and divide the coconut oil well. Top the apple mixture with the crisp mixture and fold the foil up tightly. Place onto embers and roast for about 10 minutes, rotating occasionally. Remove and adjust cooking time according to liking.